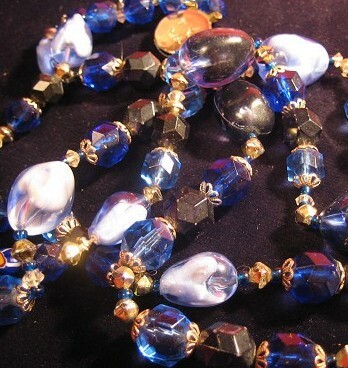 Vintage 1940s/50s German blue bead necklace. 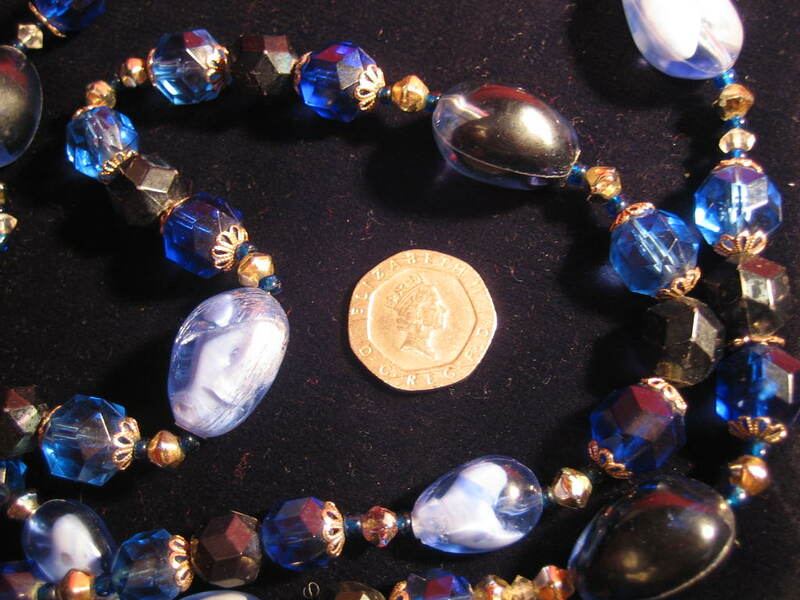 Although they are all blue, there are actually six different types of beads making up this lovely necklace, not counting spacers (four different types) and one odd one which has been used as a repair. 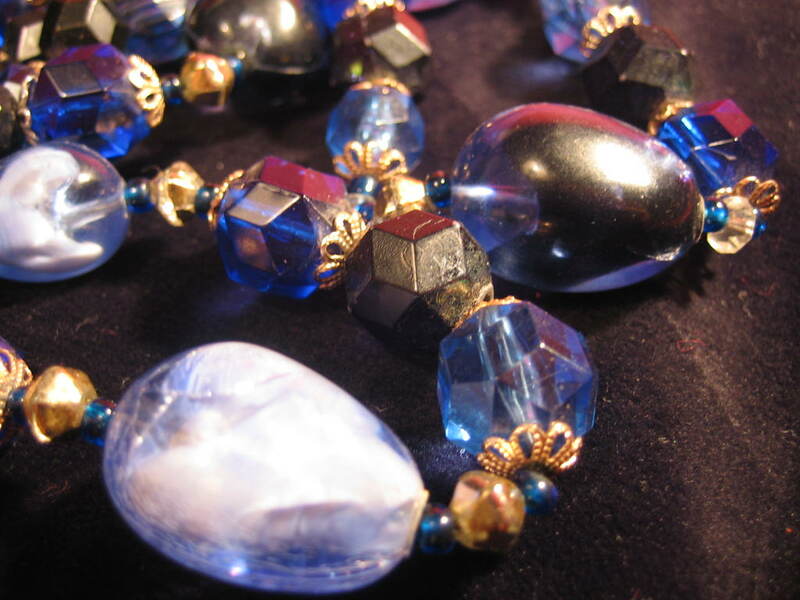 All the beads are either shiny or facted, so the necklace catches the light in a most appealing way. 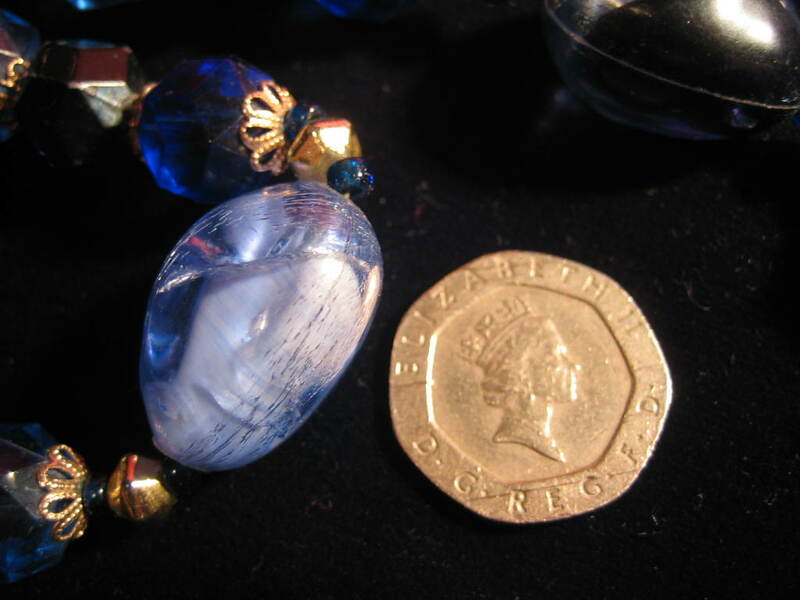 It's a complex piece to describe, but fortunately our photographers have done an excellent job, so I feel justified in letting their work do mine for me! 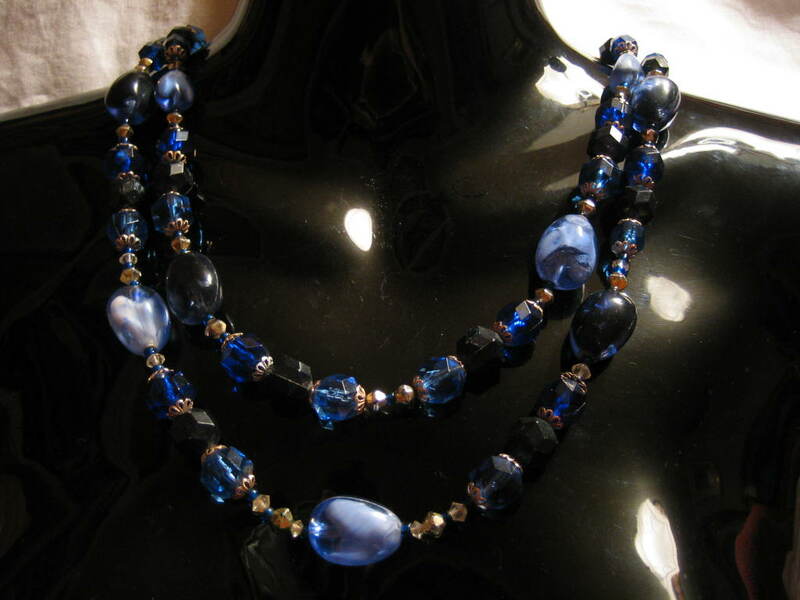 It's a lovely, light-weight and extremely wearable piece, with only two flaws - the back of the clasp is missing, and the odd bead used as a repair. 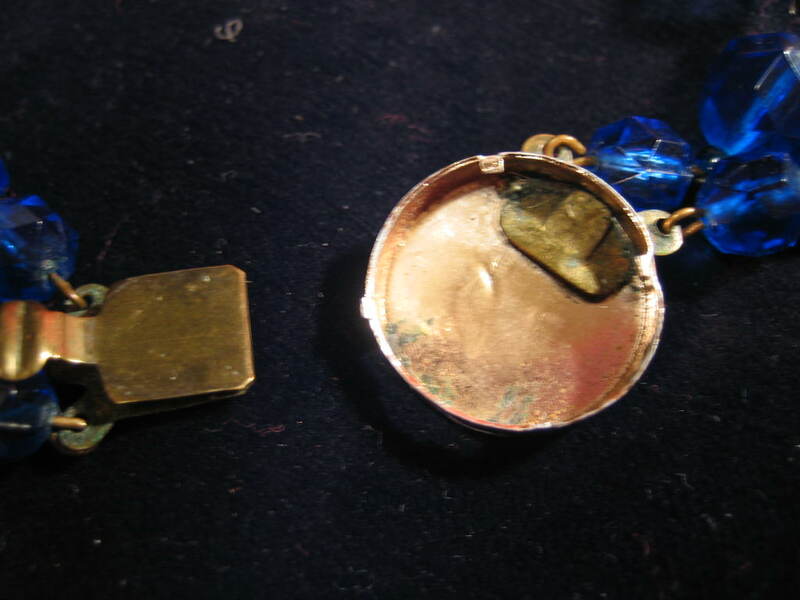 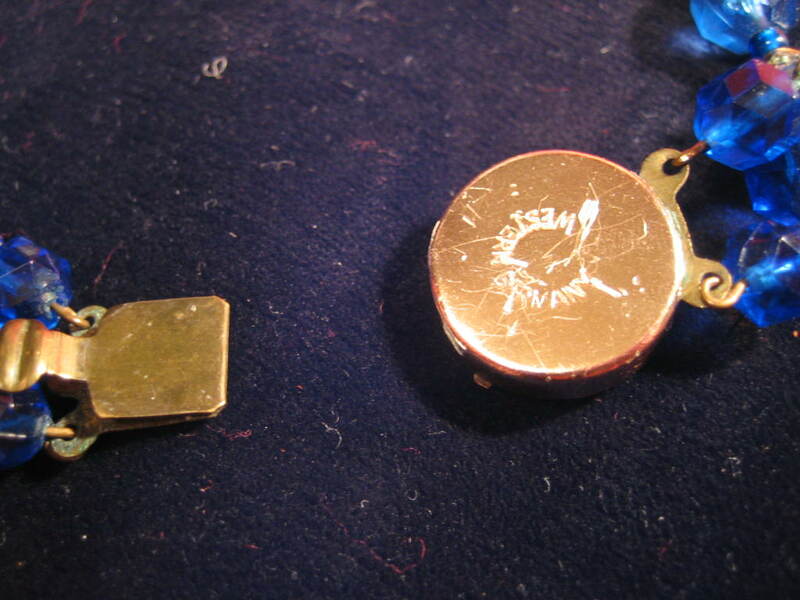 Neither of these are visible in wear, or affect the look of the piece.